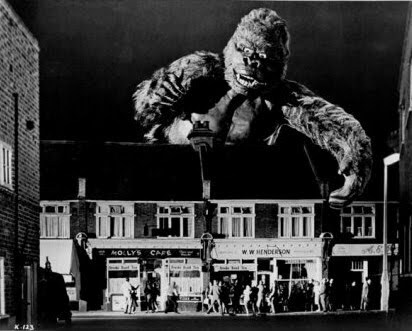 BLACK HOLE REVIEWS: KONGA (1961) - filming location found! 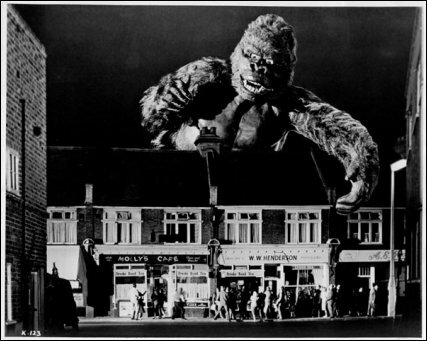 This shot of Konga towering over a parade of shops represents a scene from the film - but publicity photos like this were rarely frame enlargements. 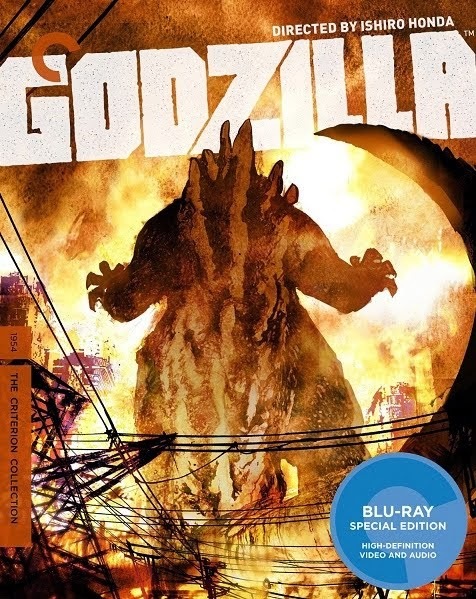 Like the bewildering and misleading photos and lobby cards for the older Godzilla movies, this will have been a literal 'cut and paste job', taking two photos and gluing them together. 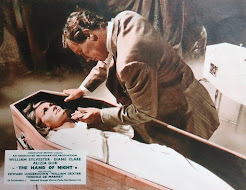 This was the standard practice at the time to represent a film's special effects. 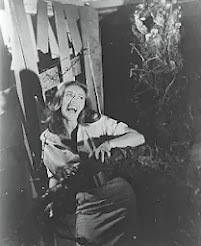 Below is a frame from the film itself. It was easy to find - I remembered these shops over the road from the studio headquarters, known as the Long Lodge - the only building that still exists 40 years after closing its doors as a film studio. In the photos, the wall on the left is the side of the Long Lodge itself. Even the street lighting (at right) is in roughly the same place as 50 years ago, when Konga was made. Here's a closer look - so many of the building's features, like the chimneys and brickwork, have remained unchanged. They're all still shops! Looking right, the shops curve round a corner away from the main road, (there's the new street light) to another location used in the film, for several shots of crowds running past parked cars and shops (framegrab below). While the story was set in an unspecified part of London, Konga was supposed to rampage to the Houses of Parliament. 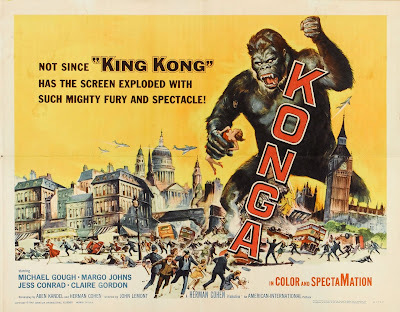 Producer Herman Cohen couldn't get permission to film there (so he claimed) and used Croydon High Street instead (a suburban town a few miles away from Merton Park Studios) for scenes of the crowds and army gathering to watch Konga pose in front of Big Ben. The shopping centre in Croydon has since had so many facelifts that I've had no luck finding any locations from the cheap but memorable climax. I'm also trying to find the mad doctor's (Michael Gough) house from the film. 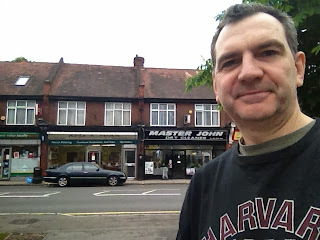 I've marked the location on Panoramio, which adds photos to Google Maps. Did you see my other post about the studios?